We’ve all heard the saying, “A picture is worth a thousand words.” Harnessing and reclaiming the power of photographs is at the heart of a participatory research tool called photo-voice. Photo-voice combines picture-taking and story-telling to identify issues of concern in a community, document community conditions, and generate solutions to create healthier communities. Through our partnership with Communities United for Restorative Youth Justice (CURYJ), we use photo-voice to engage young people in promoting innovative solutions that address the root causes of violence in their communities. CURYJ is a community-based organization in Oakland, California that builds the leadership of young people directly impacted by the criminal justice system and their family members as positive forces for change in their communities. The Pacific Institute partnered with CURYJ to develop a popular education-style training series that builds the leadership of young people directly impacted by the criminal justice system. Photo-voice is a highly accessible and engaging tool that has been used throughout the world with children and youth, people with limited literacy, visual learners, and those who have experienced trauma fom violence, among others. As a research tool, photo-voice draws from the fields of documentary photography and photo-journalism by using photography as a medium to document and analyze lived experiences as well as local and place-based knowledge. Photo-voice has also been used by community groups as an effective advocacy tool for communicating key issues of concern and proposed solutions to decision-makers, agency staff, and systems leaders. 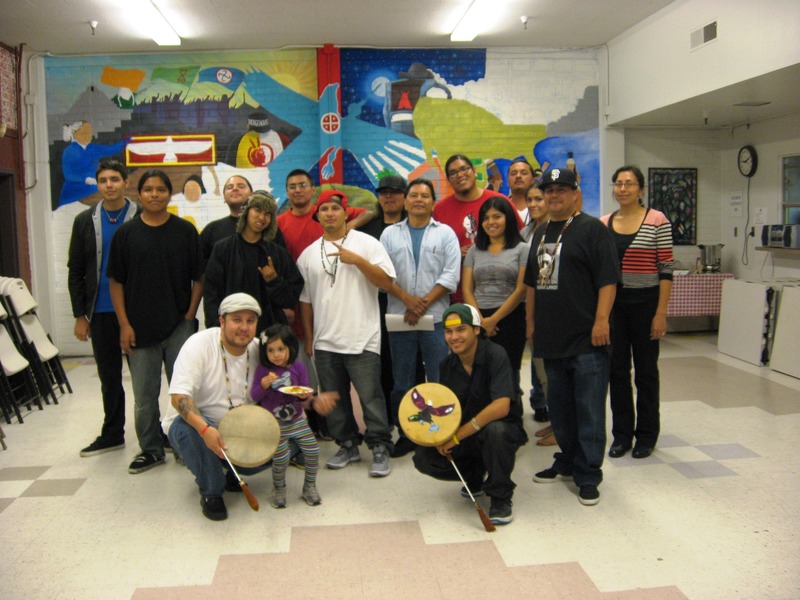 Our photo-voice project works with Native American and Latino youth who are involved in after-school programming at the Intertribal Friendship House and at Dewey Academy, an alternative continuation high school in Oakland. The Pacific Institute’s Community Strategies for Sustainability and Justice (CSSJ) Program partnered with CURYJ to develop a popular education-style training series that builds skills the youth need to participate in each step of the photo-voice project. These steps include identifying themes based on shared experiences, taking photos that illustrate these themes, grouping and analyzing photos based on themes, and writing captions to accompany the photos. In addition to gaining research skills, youth involved in both projects receive a stipend to support their participation in the projects. The photo-voice projects are supported in part with grant funds from The California Endowment’s Healthy East Oakland and Boys and Men of Color Initiatives. In March 2013, CSSJ Program staff conducted a training-of-trainers with CURYJ staff and IFH volunteers to pilot and refine the training curriculum as well as to prepare community partners to co-facilitate the training. Ruben Leal and Mike Muscadine, Community Organizers at CURYJ, co-facilitate the youth photo-voice trainings at Dewey Academy and the Intertribal Friendship House and helped plan the training-of-trainers. Leal and Muscadine are former defendants in the proposed gang injunction for Oakland’s Fruitvale District who became involved with CURYJ when the organization provided them with pro-bono legal defense. They are now creating opportunities for other young people in their community by organizing mural block parties, supporting a community gardening project next to an apartment building on Foothill Boulevard, and helping run leadership development programs like the photo-voice projects. The photo-voice project participants held an opening night gallery exhibit featuring photos taken by Native youth on June 25, 2013. 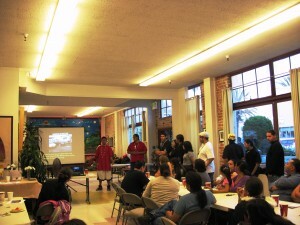 The photo-voice project at the Intertribal Friendship House (IFH) continues the organization’s rich tradition of using visual media and story-telling to share the history of generations of Oakland’s vibrant Native American community. Founded in 1955, IFH’s walls hold beautiful murals and photos that share events in the community’s history and experiences in the lives of community members throughout the decades. The walls tell a story that extends from age-old California Indian roundhouse ceremonies, to the takeover of Alcatraz Island by American Indian Movement activists in 1969, to pow-wow dancers in their regalia at the annual Medicine Warriors Pow-Wow held at nearby Clinton Park. 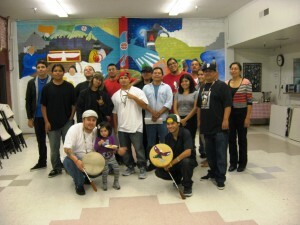 Muscadine, who is of Crow, Mexican, and Italian hertitage, says that the Bay Area was one of the main places where Native families ended up when they left the reservation during relocation. It’s the reason they call IFH the urban rez. The group wants to give the next generation the chance to share what life is like for Native people here with the elders and youth. Galvis and Muscadine are planning the opening night for the gallery exhibit featuring the photos taken by Native youth to coincide with the Native Boys and Men program’s graduation dinner on June 25. In addition to developing a photo exhibit, youth participants at Dewey Academy will be creating a “foto-novela,” a comic book-style short story featuring photos they take and dialogue that they write to share their experiences and vision for creating opportunities for Latino young men. The foto-novela will be bilingual so that it can also be shared with Spanish-speaking family and community members. Galvis recruited Freddy Gutierrez, a creative writing MFA student at Mills College with a performing arts background, to integrate creative writing and theater activities into the photo-voice curriculum to prepare the youth to develop the foto-novela. At a recent session, participants in the Dewey Academy project named their project “The ‘Hood Report.” The self-named ‘hood reporters at Dewey Academy are natural-born storytellers. A practice round of picture-taking on school grounds sparked a lively conversation on issues ranging from immigration to homelessness to encounters with the police. In the span of a few hours, the students took and generated poignant captions that conveyed their experiences with these issues. Leal, who graduated from Dewey Academy in 2007, knows first-hand what a difference this can make in the life of a student that’s been pushed out of the school system. He says it makes youth look forward to the future.